Eye catching Gavin with swirls of bright orange, pink and yellow. 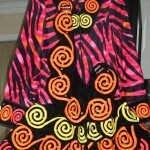 Bodice and sleeves are a slight tye-dye mix of orange and pink with black zebra print. The fabric is a lycra blend which fits nicely on many body types. The crystals are AB in varying sizes. Dress has wear on the embroidery on the skirt under the cape (near the zipper) and some wear on the edge of the skirt where it folds. None of the wear detracts from the dress. 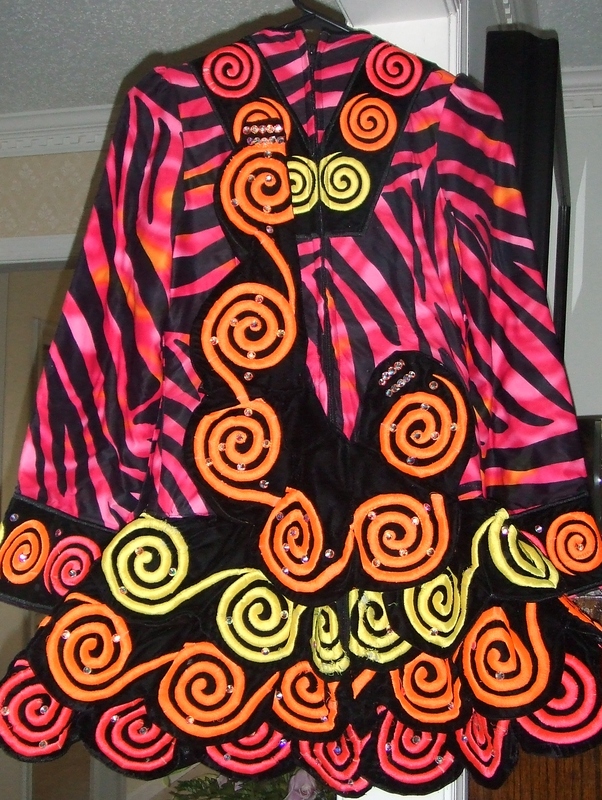 Dress includes orange kick pants (lycra). Underside of skirt is orange. Headband also included. Dress is from smoke-free home. 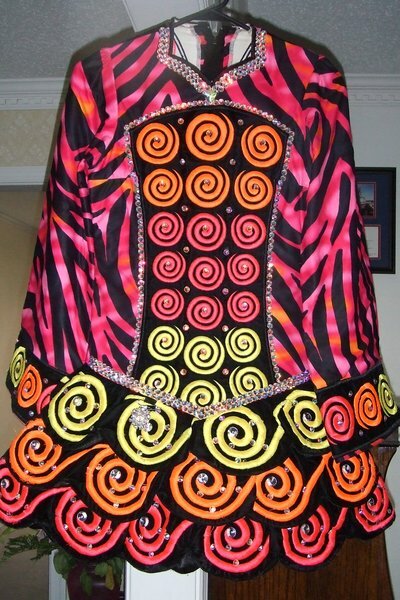 The skirt has been eased in the back to allow it to fall over dancers hips. Measurements were taken with the dress flat on the floor. Asking Price: $US400. Shipping costs are not included in the asking price. Sale is final.